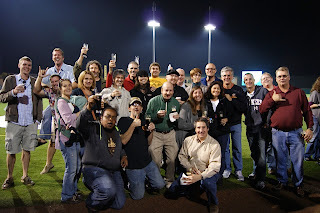 A very happy crowd poses at Field of Beers last Friday night. 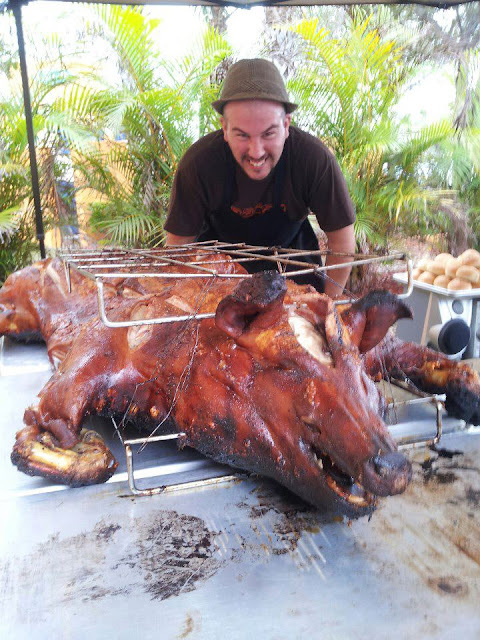 A week-plus of pig roasts, beer fests, tap takeovers, dinners, a pub crawl, and a bus tour has come to close. 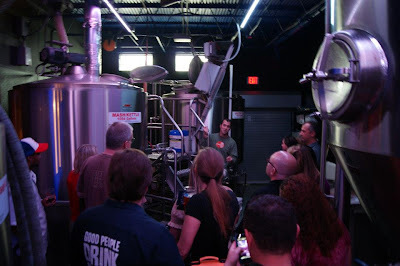 And though everyone behind South Florida Beer Week is a bit worn out and ready for a liver detox, we've had so much fun organizing its second annual incarnation that we can't wait to do it again next year. Along the way, we met a lot of great people -- passionate beer fans who bleed for Cigar City and Holy Mackerel, and jump at the chance to try Engine 15's Weiss Guy or Green Room's Pablo Pale. We've seen fanatics young and old, from Miami to Loxahatchee; folks who obsess over stouts, IPAs, or everything they can get their hands on. Most of all, we've met so many people who are excited, enraptured, and engrossed by Florida's ever-growing beer scene. If the giant leap of support and love we've witnessed between the first SFBW and the second is any indication, when SFBW returns in 2014 it will be truly stratospheric.So a big thank you to all of you out there who came out to the events and supported local beer! It's only Wednesday and we have seen some great events and delicious beer flowing throughout South Florida. If you haven't made it out yet here are some shots to let you know what you may have missed. Not to worry, there are still a bunch of events and local beers in line for the rest of the week. We hope to see you out! Fran Andrewlevich, Co-owner and Brewer gives a tour of Tequesta Brewing. 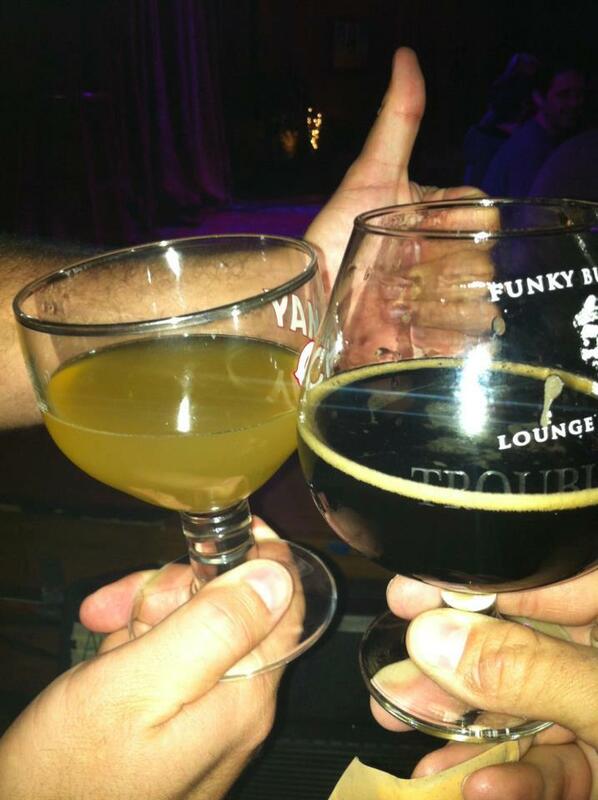 Wow - South Florida Beer Week is off to a rocket start! This past weekend's events -- including a killer Beer Bus Trip, two pig roasts, a beer fest, a mini golf party, and an upscale tasting event -- were amazing and fun for everyone involved. Not to mention we made a lot of new fans for great, homegrown, Florida craft beer. SFBW has really hit it's stride this year in getting the word out as well. A number of local publications have written about and documented what we've been striving for here, and the response has been huge. A front page story in Showtime (Sun-Sentinel's weekly entertainment paper) plus a huge story in the Palm Beach post have been some great highlights. And don't forget tonight: There are still spaces available for Total Wine PGA's beer and cheese pairing, with all local cheeses. Here are some links to the local craft beer love. We've got a special treat coming up for South Florida Beer Week. Total Wine, Spirits & More in Palm Beach Gardens has partnered with Brown Distributing and local cheesemakers across the state to bring you a Local Cheese and Beer Class like no other done in South Florida before. 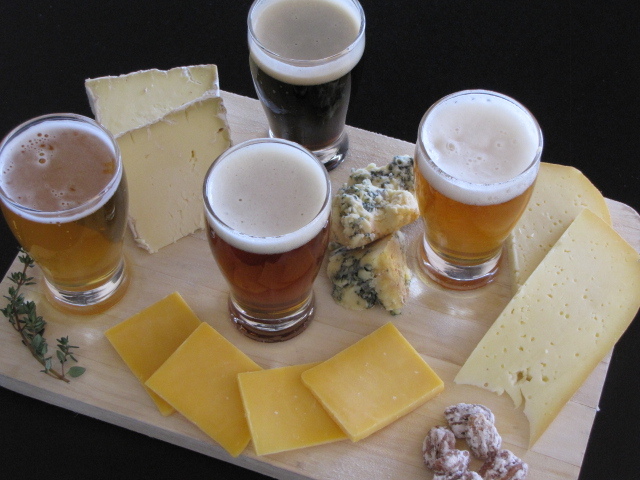 This class will feature cheeses from four boutique, Florida creameries, each paired with a local beer. Each of these creameries distributes through a small batch distributor Farmstead Cheese Co. that only sells to select restaurants and stores. Even cooler, one of the creameries -- Tampa's Bufalina AC -- makes their organic buffalo mozzarella by feeding their water buffalos spent grain from Cigar City Brewing Co.
See below for the complete list of cheeses and cheesemakers, as well as the beers they will be paired with. 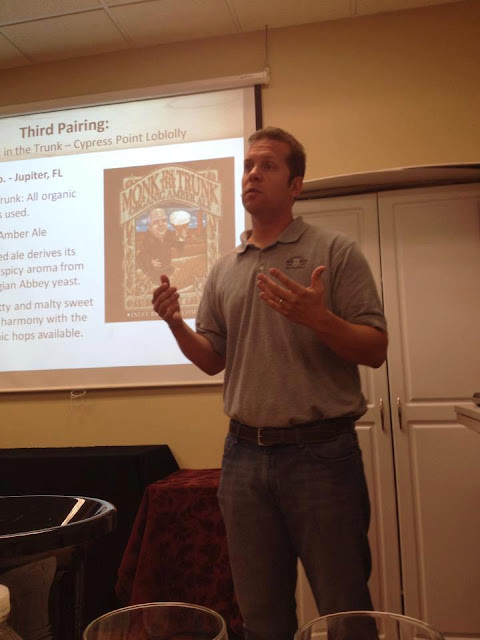 Ray Nickolaus, the head guy at Inlet Brewing (makers of Monk in the Trunk), will conduct the class. The class takes place on Monday, January 21 at 6:30pm. The cost is just $15, and you must call or visit Total Wine PGA (561-622-7340) to reserve your spot. We hope to see you at the pairing! There's a multitude of events going on during SFBW. 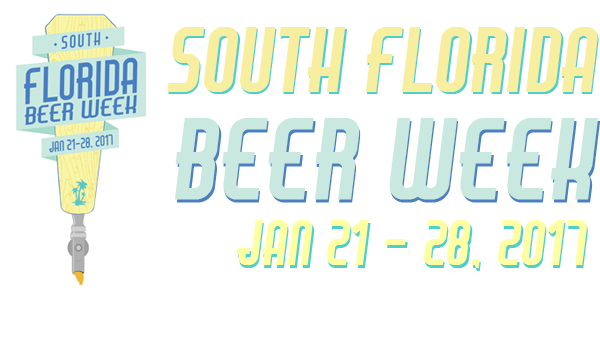 If you've been reading this blog as we've announced events for South Florida Beer Week, you've probably said to yourself "How am I going to keep track of everything that's going on?" 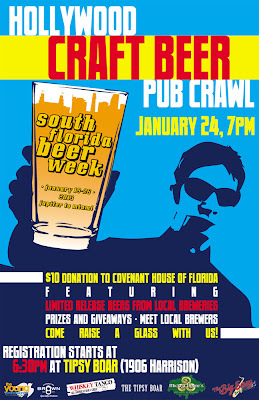 Well - here's the answer: The South Florida Beer Week Event Guide. Check out this simple chart and plot your course for a great week of Florida beer activities! We hope to see you out there! Click the file on your right to download a larger version. Beer Can Dinner at El Jefe Luchador, Tickets on Sale Today! Tickets are on sale today for the El Jefe Luchador Beer Can Dinner with Cigar City Brewing Company taking place Wednesday, January 23 at 7pm. 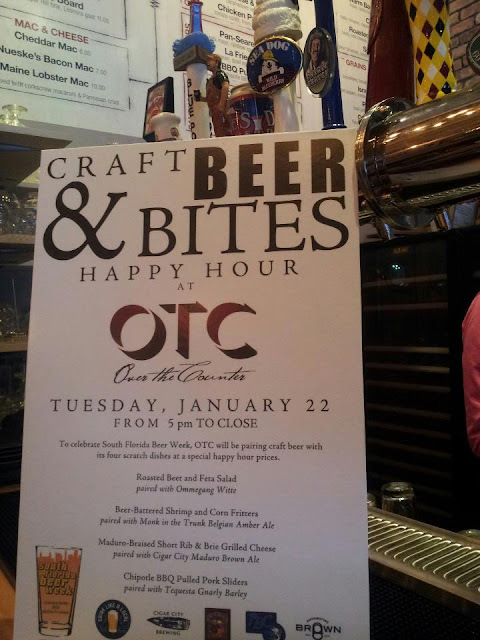 This dinner will feature four courses paired with some delicious beers from CCB for $25, and is limited to only 25 people. It will sell out fast, so get yours asap! Tickets are available online at Eventbrite. 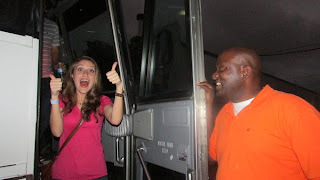 The dinner will be nice and relaxing unlike many four-course dinners as it takes place in the very casual El Jefe. Take a look at this menu and tell me you don't start drooling right away. 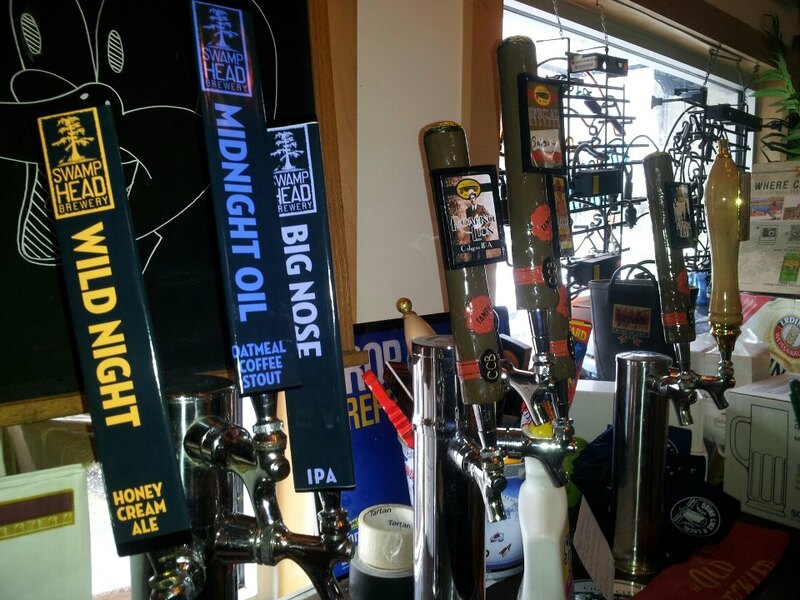 Engine 15 Brewing Company from Jax Beach, Florida will be available at select locations for South Florida Beer Week. We are excited that they have agreed to send some liquid our way. This growing brewery/brew on-premise/beer bar up in North Florida has been pumping out beer for the past few years and will be a real treat for craft beer fans in South Florida. To learn a little bit more about Engine 15 and put a face to the name, check out this interview with their very own Sean Bielman. Even more events are coming your way for South Florida Beer Week. The "H is O," as they say! Take a look below for some info on the events. 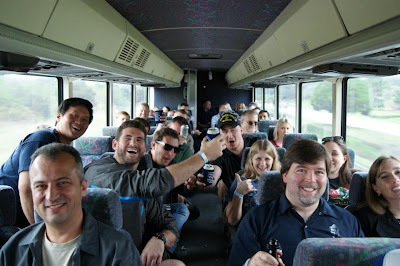 Next week we're going to release a full event fact sheet to guide you through your SFBW experience. Enjoy! 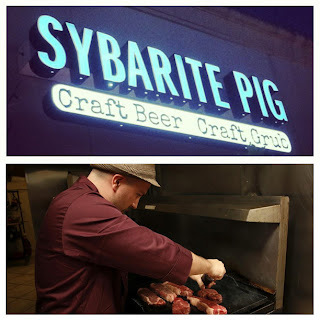 Caja China Pig Roast with Cigar City at The Sybarite Pig. Boca's newest craft beer bar is The Sybarite Pig. If you're wondering what "sybarite means," it's so named for the ancient Greek colony of Sybaris, where the denizens were said to be thoroughly devoted to a lifestyle of extreme pleasure and luxury. Sounds pretty great to us! Break out your best crawling shoes -- the Hollywood Craft Beer Pub Crawl is coming Thursday, January 24 as part of South Florida Beer Week! This crawl will bring together four bars in the 1900 block of Downtown Hollywood for a night of raucous celebration. Each bar will feature limited beers from a different Florida brewery, including Cigar City Brewing, Tequesta Brewing, Due South, and Holy Mackerel. Plus, this crawl has a cause: a $10 donation will go directly to Covenant House Florida, a great organization that provides walk-in services and shelter to at risk and homeless youth. For your donation, crawlers will receive a Drink Like a Local pint glass and coozie, special prices at each venue on the crawl, and will be entered into a raffle at the end of the night to win some great prizes courtesy of Brown Distributing.